For her summer job, my younger daughter often has to pack her supper in a lunch bag, so was looking for something “fantastic and tasty” to switch things up. 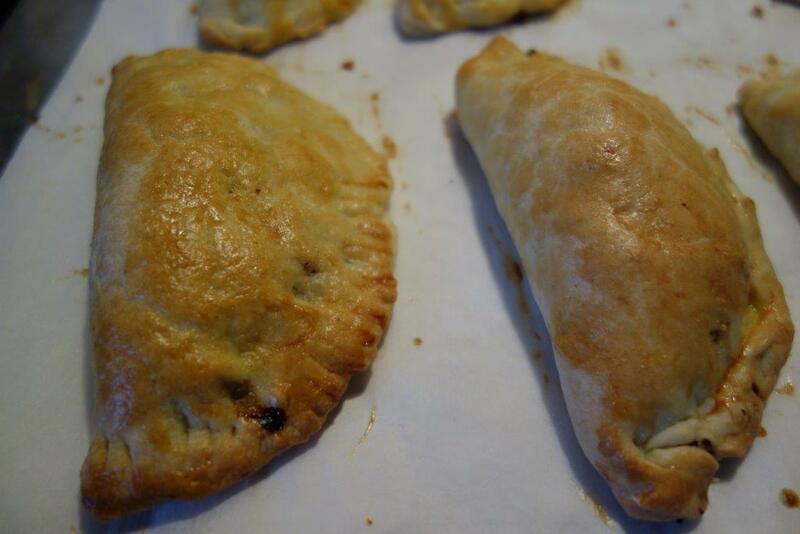 These pork hand pies are what we came up with. Add flour, butter and seasoning to food processor. Pulse a few times to break up the butter a bit. Mix the water and lemon juice together. Pour in the liquid, pulsing the processor until the dough just comes together. 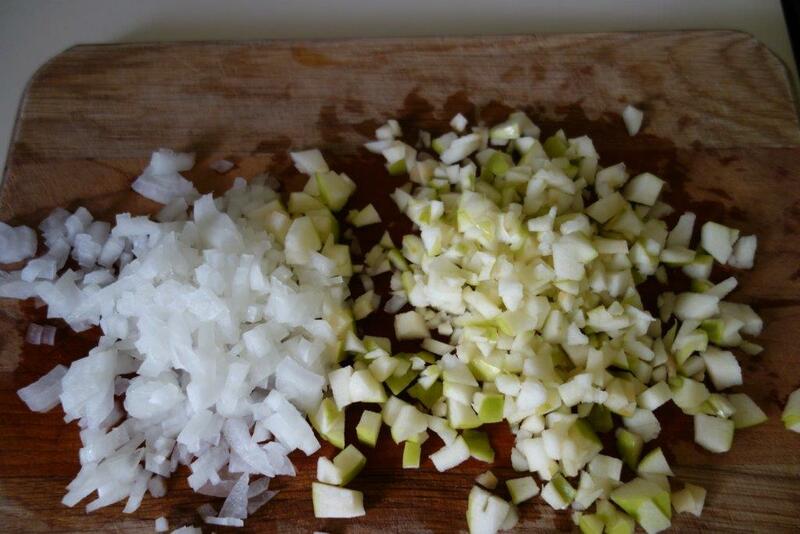 Sauté the onion and apple in the olive oil until a bit soft. Combine the spices and breadcrumbs. 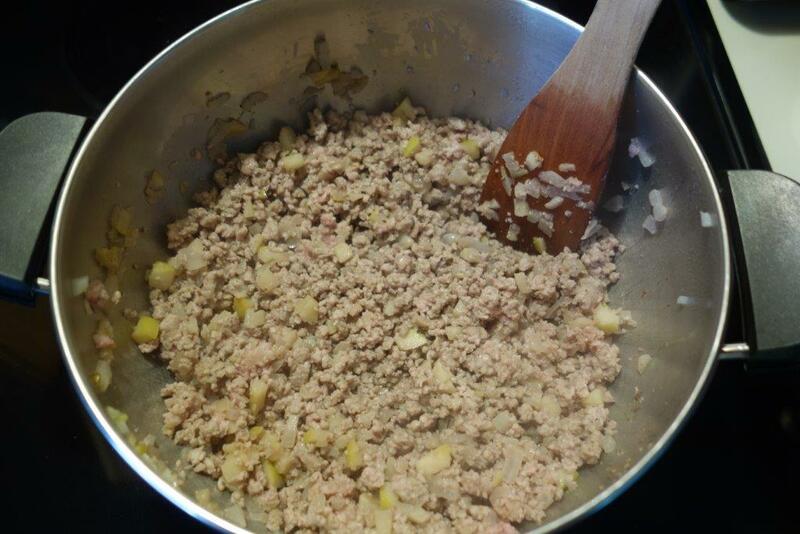 Add to the onion mix with the Worcestershire sauce, stirring until fragrant. Add the pork and cook until no longer pink, breaking up the meat into fine pieces. Set aside to cool a bit. 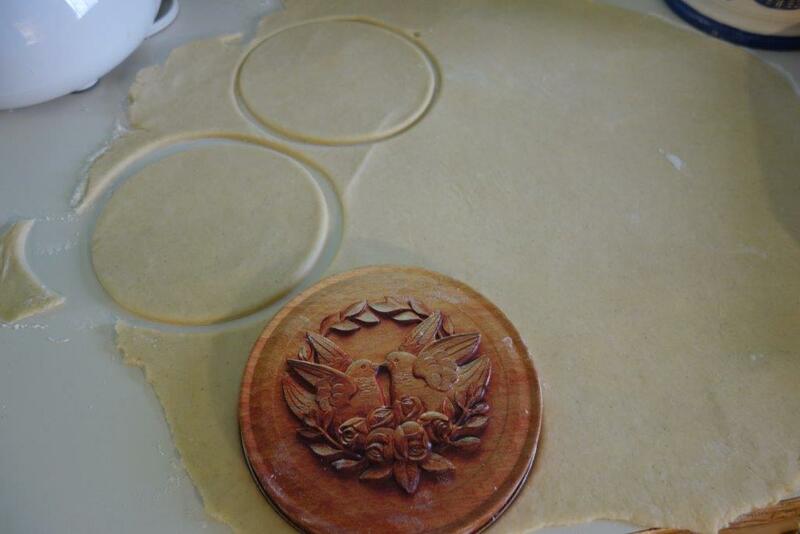 Roll out the pastry and cut into 6 inch circles. I used the lid of a one of my tins for this job. 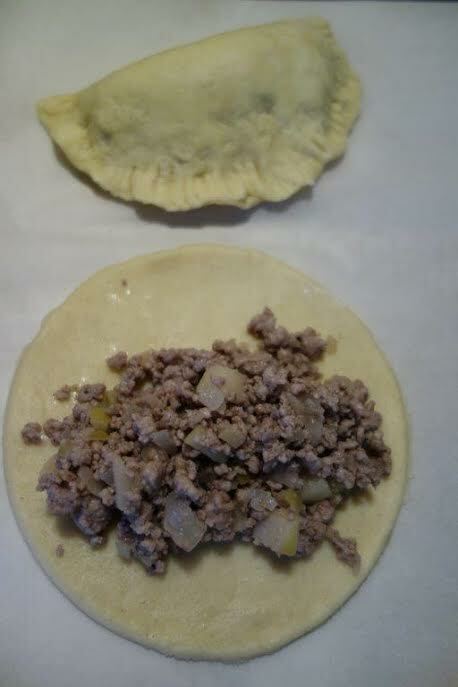 Place a good amount of the pork mixture onto the center of the circle. Fold over and pinch closed, either with a fork, or by folding and pinching. Brush with the egg wash. Place into preheated oven at 425 degrees Fahrenheit and bake for 25 minutes. Let cool for 5-10 minutes. These are at the height of crispy, savoury goodness when eaten right away, but are also delicious as portable food, and they freeze well. Those look fantastic. 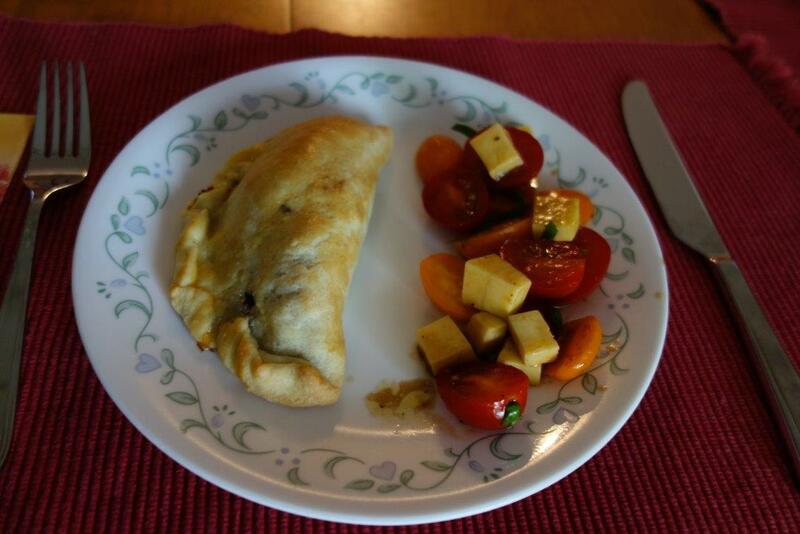 My younger daughter is a picky eater but she really loves meat pies and I’ve never thought of making individual, portable ones. She could have these in her lunch when school resumes. Thanks for the great idea! You are most welcome! Ideas are made for sharing.